Product prices and availability are accurate as of 2019-04-18 22:09:12 UTC and are subject to change. Any price and availability information displayed on http://www.amazon.com/ at the time of purchase will apply to the purchase of this product. The Edge Products 31001 Juice with Attitude CS for Dodge 5.9L is an in-cab control system that allows you to control your trucks functions with the touch of a button. By monitoring exhaust gas temperature level, turbo boost, and engine temperature level, among other things, this power module gives you the ability to maintain maximum performance. With it's high resolution, 4.3 inch, color, touch screen, this display and monitoring device is easy to use. Attaching to the existing manufacturer harness, this power module is also quick and simple to install. The custom audio mileage notifications and backgrounds provides you with the control to maintain your truck the way you want to. 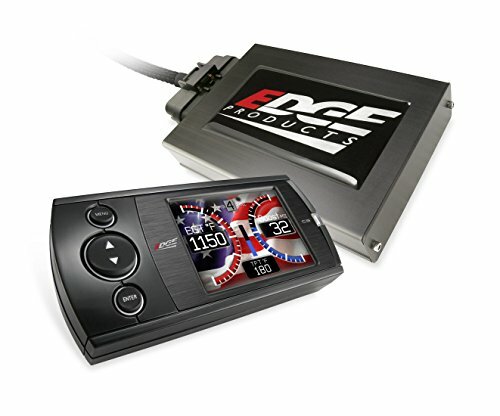 Purchase the Edge Products 31001 Juice with Attitude CS for Dodge 5.9L today and keep your truck in optimum shape! The Juice is a power module that mounts under the hood in to existing factory harness connection. It receives signals from the truck's engine control unit and constantly monitors and modifies those signals to improve performance. The attitude CS is an in-cab controller and monitor that controls the juice module. The device also functions as a data acquisition and data monitoring display. 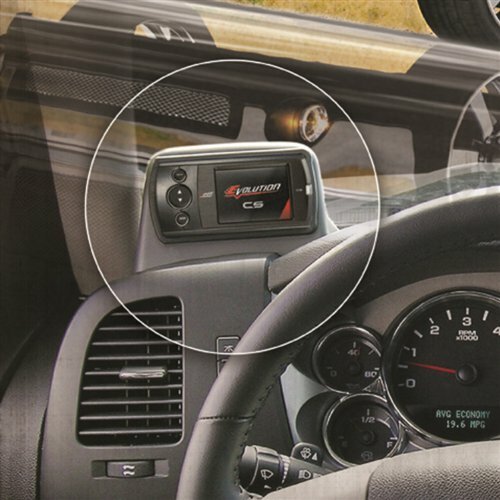 It captures and displays vital engine information like exhaust gas temperature, turbo boost, and engine temperature, to name just a few. The Juice with Attitude comes with customizable audible alerts, on the fly adjustable power levels, and engine transmission protection features built in.